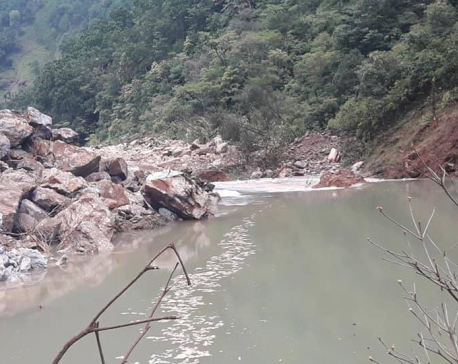 KATHMANDU, July 8: An expert with the International Centre for Integrated Mountain Development (ICIMOD) has said Tuesday night's flash flood in the Bhotekoshi River was not a glacial lake outburst flood (GLOF) rather it was a landslide dam outburst flood. 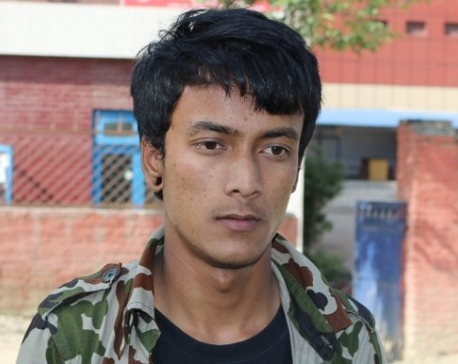 Pradeep Mool, coordinator of rgw Cryosphere Initiative at ICIMOD, said a landslide on the Bhotekoshi River in Tibet between Khasa and Nyalum formed a dam and the dam burst out causing a flash flood in the area. Mool quoted his friend in Beijing as saying that the landslide blocked the river for a few hours. "However, timely warning prevented loss of life this time unlike during Larcha flodding of 1996. The flash flood of Tuesday night swept away about 21 houses and damaged roads. A similar flooding after cloudburst in Larcha of Sindhupalchowk had killed four dozen people and swept away 22 houses in 1996. PHALEWAS, Parbat, Aug 4: The flood and landslide have caused damages to as many as 14 schools in Parbat district.